The Body Up is a clever aid that enables the user to be safely transferred from one location to another. 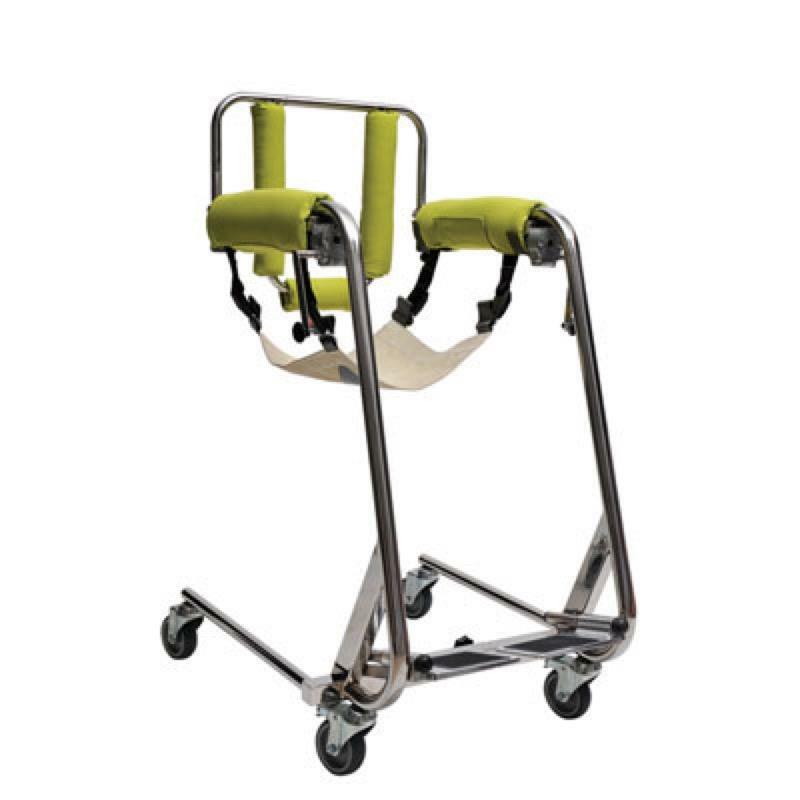 The frame is constructed using stainless steel and features an independent manual winding mechanism that enables the carer to easily lift and lower the patient. 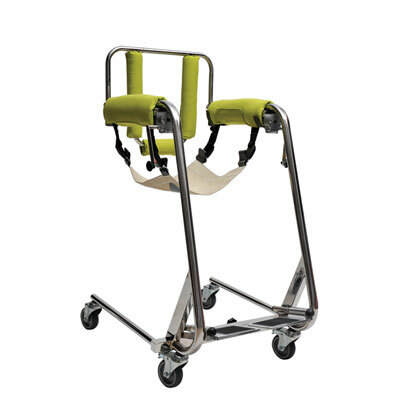 The Body Up is extremely multi-functional and can do the job of a hoist, wheelchair and shower commode chair. It is supplied with covered waterproof, foam filled cushioned arm and back covers and a fibre sling with seat belt attachments. The internal width can be adjusted to accomodate different sizes of individuals.It is housed on four 10cm wheels and can be dismantled into three lightweight pieces making it easy to transport. A covered waterproof foam commode seat and stabilisation straps are available as optional extras. Delivery of this product will be made directly from the our distributor in approximately 2 weeks.